Do you find yourself saying yes to every event and opportunity coming your way? Do you feel like the more meetings you schedule and more networking you do , your business will sky rocket ? yourself too thin that you cannot find any time or energy to work on the most important thing which is building your business. ? Well I don’t know about you but I certainly was doing the exact same things i mentioned above, to be honest I still fall into that trapped when starting a new project, I get overwhelmed and get distracted very easily by less important things . As I noticed that my productivity level is not really where it should be i.e I am not hitting my potential with productivity. I searched on you tube for tips on how to deal with SAYING YES TO EVERYTHING. I came across Derek Halpern . you should subscribe to his channel , he is awesome. I learnt to become more aware of my behavior that was sabotaging my progress. I will share some of the tips I learnt and put into practice in building my own business that helped me stay on track and keep progressing in accomplishing every project i start within my business. I will be using my online business as an idea but the same principle applies in whatever project you are working on, be it an essay for your degree or a weight loss plan you are starting. 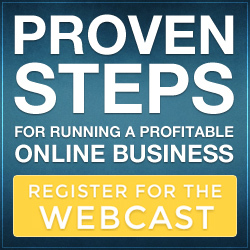 When I first started my online I was watching every recorded webinar , joining in every live webinar on planet. I went to every social media platform, joined all the conducted meetings on earth, I thought i was getting value ans also sharing value. But the reality is I was getting myself overwhelmed with ideas and information. I was creating a bit of momentum but definitely not getting enough achieved. Although I was always fully booked and din’t have a minute to spare, I was on my laptop or on the phone for very long hours, but still achieved very little, I realized that some of the webinars I was attending were either too advanced for where i am or I know that info already. or are on projects i am not working on right now. so 80% of them were just filling up my diary but not what i really needed at this certain stage of building my business. i remember a quote my mentor Danielle Wilson said ‘ don’t join webinars more than you can implement.’ So if what i am doing is not going to help me move forward in my business , I am basically wasting my time. I was wasting my time instead of investing it in the most important thing which will help me grow my business. So i started to say NO. i said no to everything unless it was directly related to what i was working on right now. No more Irrelevant seminars, no to meetings that will not help my business move forward right now. It is correct that I might have missed on an opportunity that might benefit me down the line, but i had a l to do list that i wasn’t getting much progress on , So No, I need to focus on the project I am in right now. this doesn’t mean you isolate yourself in your office on our desk until you accomplish the task at hand. But I am saying , to take back your calendar, keep it empty from the less important stuff, and focusing on the more important task whether it creating a sales funnel, or getting subscribers, or mastering a new skill. I believe that is how you should decide how you are going to spend your time. the dilemma now is how to decide what to say YES to and what to say NO to? you have to schedule time with yourself . This was a huge game changer for me. Before I used to get up and get on with whatever comes to my mind, that made me procrastinate things, that of course affects my productivity, and I take forever to complete any one task. But now when i have something I need to work on I add it to my list. then I have to add it to my calendar. I have to set a specific time for the new task, I found that this really does help me to get the stuff that I need doing done, without distractions. Well I do realize you cannot just say no to everything. You do need to attend certain webinars and connecting to some social media content to get some inspiration and content for my project. the best way around that is to create a system, I schedule the webinars i need to attend live every Tuesday afternoon and Thursday night, and the recorded webinars and social media content can only take place on the weekend. other than that i have to keep working on the project at hand until I accomplish it. Well do not forget to take a break to freshen up, get hydrated, or personally I need some entertainment to loosen up and relax a bit. my advise is to take a break after every one hour of work so your mind can keep focusing. I hope you found some value in my blog today. if you have any questions or any more ideas on how to stay focused I would love to know about them, please leave them in the box below. Sharing is caring, if you know someone who might benefit from reading this blog please share it in your social media with them and let us spread the education. Learning to say no is extremely important when running a business. We sometimes confuse busy for productive. Less is more and the quality of what you do is paramount. People will overestimate what they can achieve in a day but underestimate what can be achieved in an hour. It’s quality not quantity of time spent on a task that’s important. thank you for responding to my blog. I am glad my message has resonated with you. and you are right staying in the right mindset of what we can achieve in a certain amount of time is crucial, and also quality always rules over quantity. keep in touch.